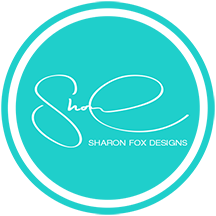 At Sharon Fox Designs, we are all about form, function and style–but most importantly, we are passionate about our clients and their design dream. Our talented interior designers know the importance of evaluating and understanding your needs while keeping your space organized and reflective of your lifestyle. We offer a variety of interior design services that are customized to your specific tastes and preferences for both residential and commercial projects. In addition to our premium products, we promote green design, so we use cost effective and environmentally friendly solutions such as energy efficient lighting, use of low VOC paint, to complete your room theme. Accessories can renew a space, especially when you’re on a budget! Take out the old, and bring in the new by adding accessories, a new lighting design, updated fabric, floors and window treatments. Even a fresh coat of paint can reinvigorate any room in an efficient and cost-effective way. Our residential interior designers and interior decorators collaborate with some of most trusted craftsmen and contractors in San Diego to ensure high-quality work that reflects our client’s design vision. As a service-driven company, client satisfaction is our top priority, and our attentive interior designers will support you throughout the entire design process! From pacific coastal and nautical beach decor, to your dream kitchen with all the works, we are proud to offer professional and personalized residential interior design services, office design and home remodeling, interior decorating, and concept design options.